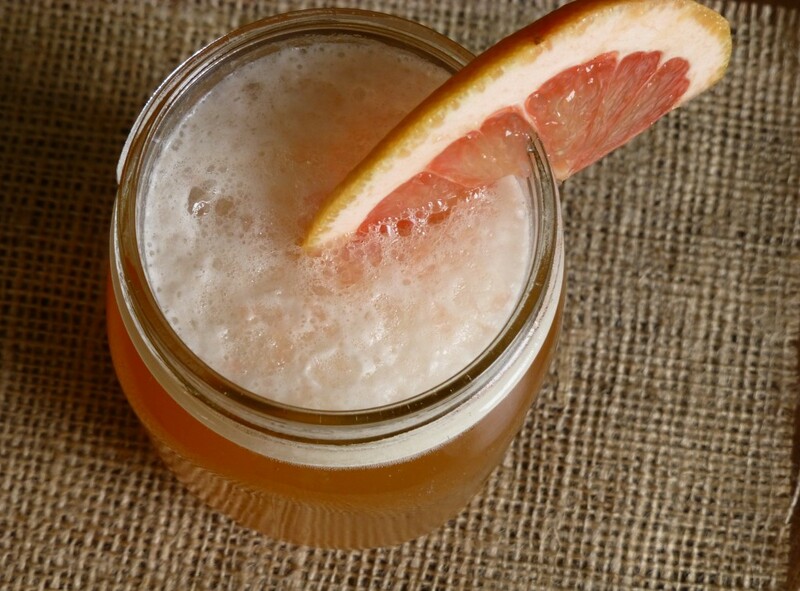 I use 1/2 cup fresh squeezed pink grapefruit juice and sweeten it with a little simple syrup for one can of beer. 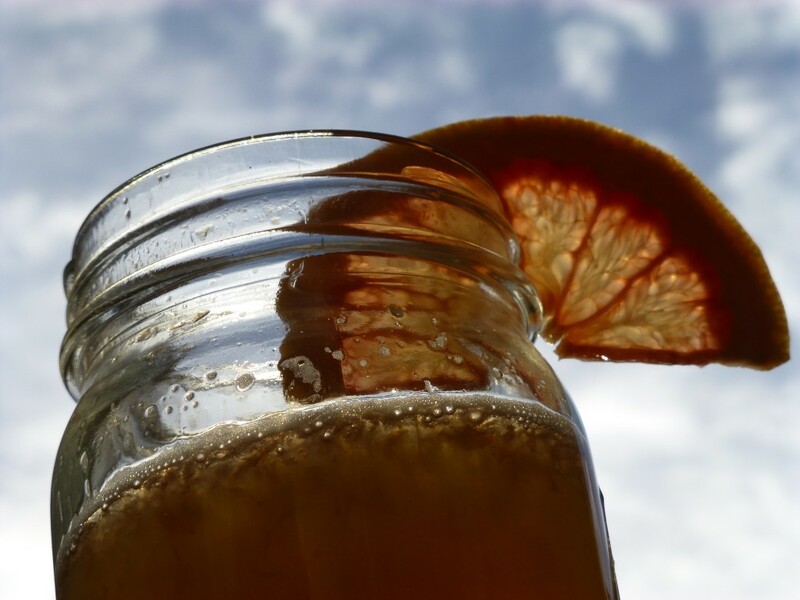 That’s why the pint-sized mason jar is perfect. 12 oz of beer + 4 oz of juice fills it to the top. 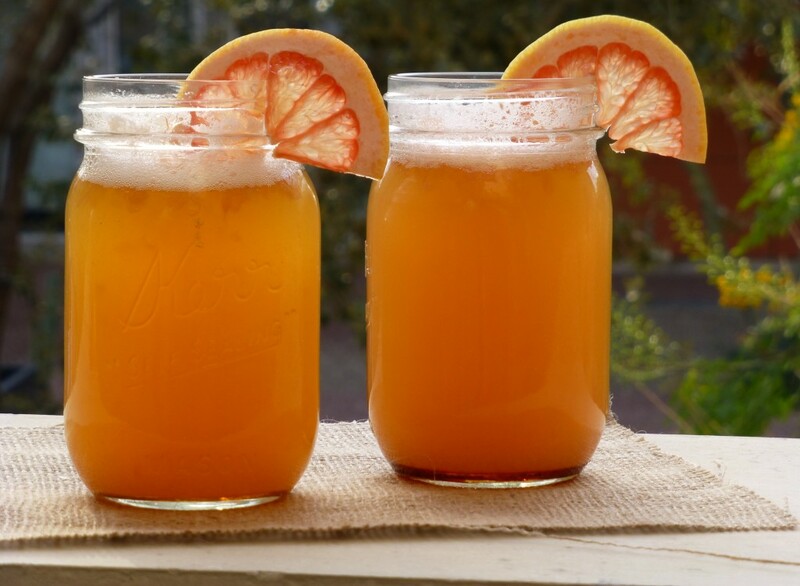 You get just as much citrus flavor, too, as the 50/50 version because you’re using pure juice, and not lemonade, which as you know is juice diluted with water. So there’s more beer in your shandy and less water. 1. To make the simple syrup, bring 1 c water and 1 c sugar to a boil, then let cool. 2. Juice the grapefruit. Each half should yield about 1/2 c juice. 3. In a frozen mason jar, stir together 1/2 c juice with 1 T simple syrup (Save the rest of syrup for future shandies. It lasts a while). Then pour beer on top. Stir don’t shake (opposite of James Bond). 4. Garnish with a grapefruit slice.